Heat oven to 350°F. Spray 9-inch round or square pan with cooking spray. In small bowl, mix 1/3 cup Bisquick™ mix, the brown sugar and cinnamon. Cut in butter, using pastry blender or fork, until mixture is crumbly; set aside. 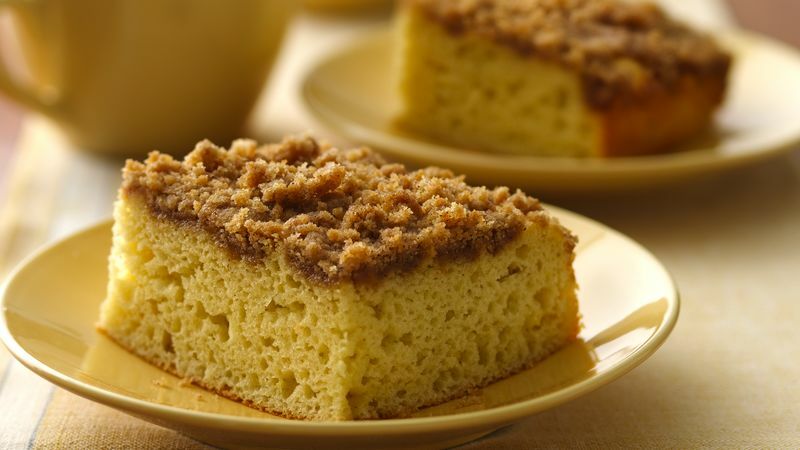 In medium bowl, stir all coffee cake ingredients until blended. Spread in pan; sprinkle with topping. Bake 25 to 30 minutes or until golden brown. Store tightly covered.